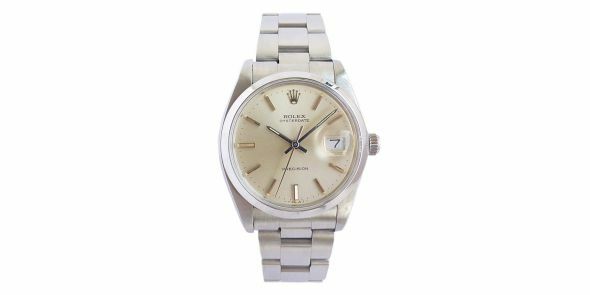 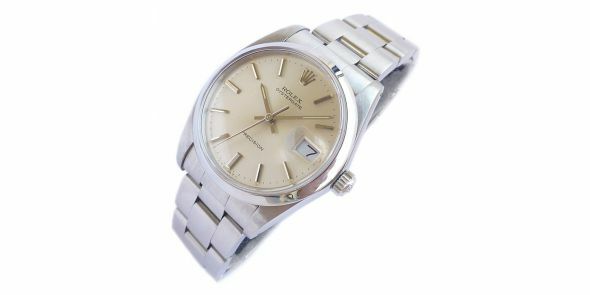 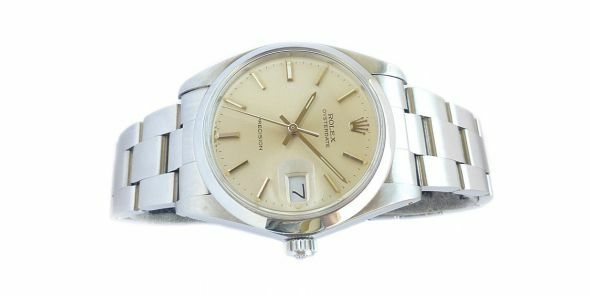 Excellent condition and just had a full service, Rolex Oysterdate Precision manual hand winding watch, model 6694 dating to 1975. 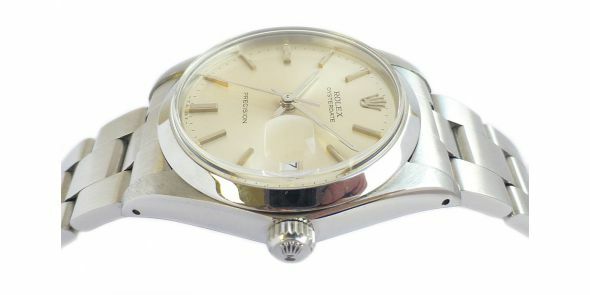 It comes on Rolex Oyster bracelet that has got 11 links and suitable for a 7 inch wrist. 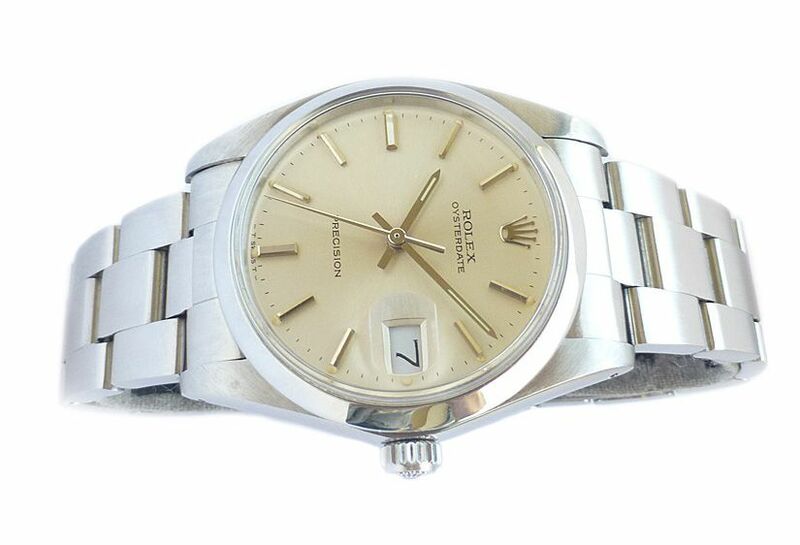 It would originally have come with 13 links. 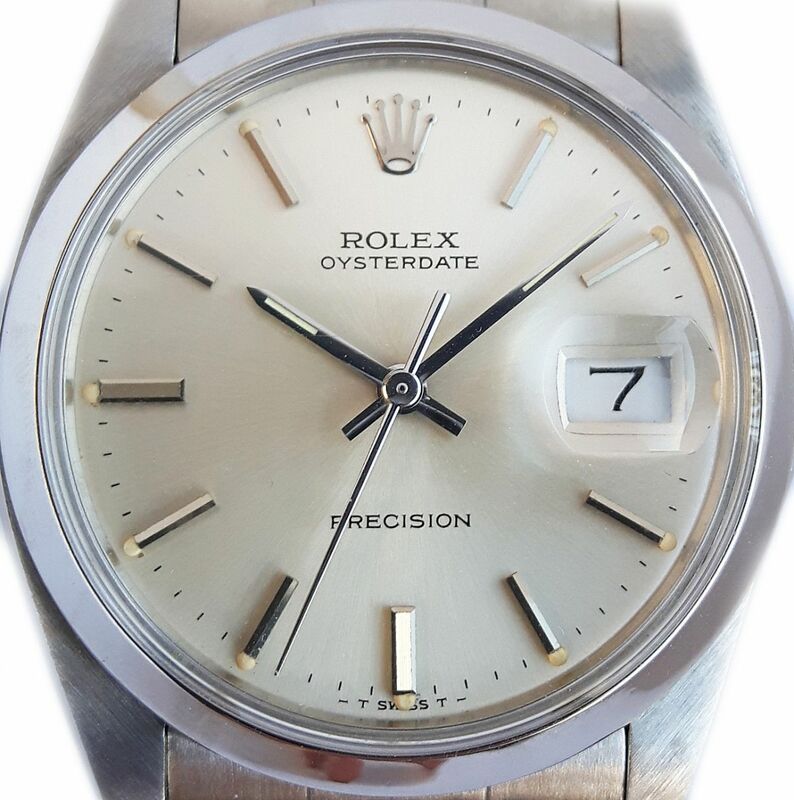 Ever popular and decent honest watch with popular silver dial and silver baton markings/hand dial combination giving it a classical looking and stylish appeal.Â Has magnified date window at the 3 position. 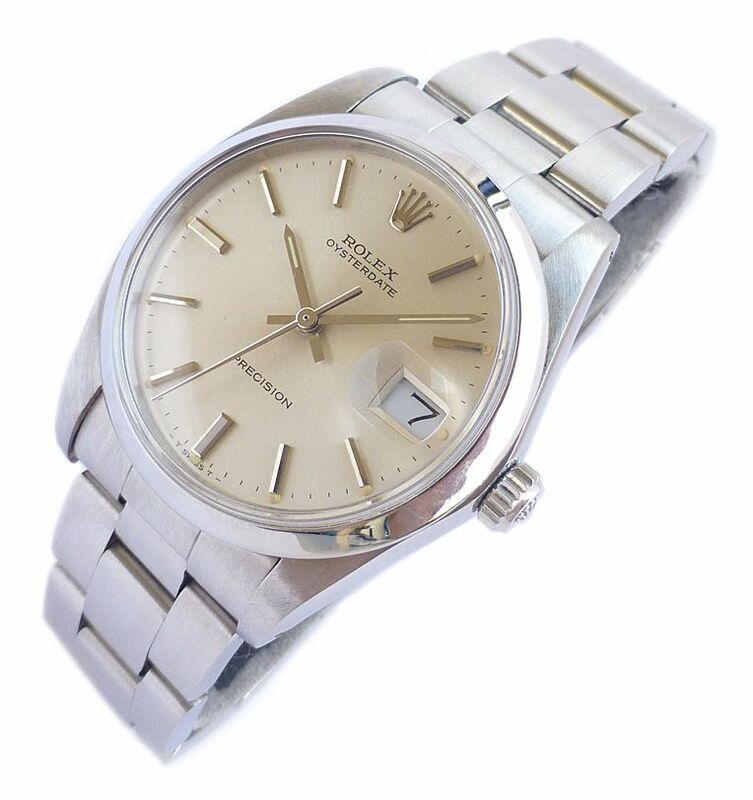 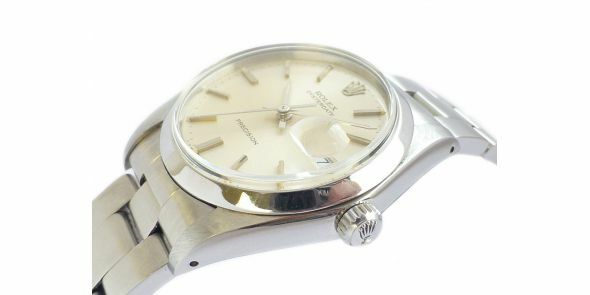 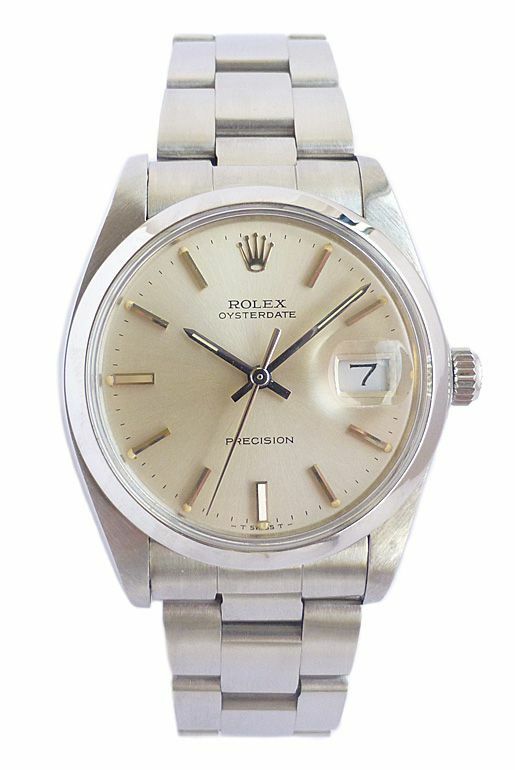 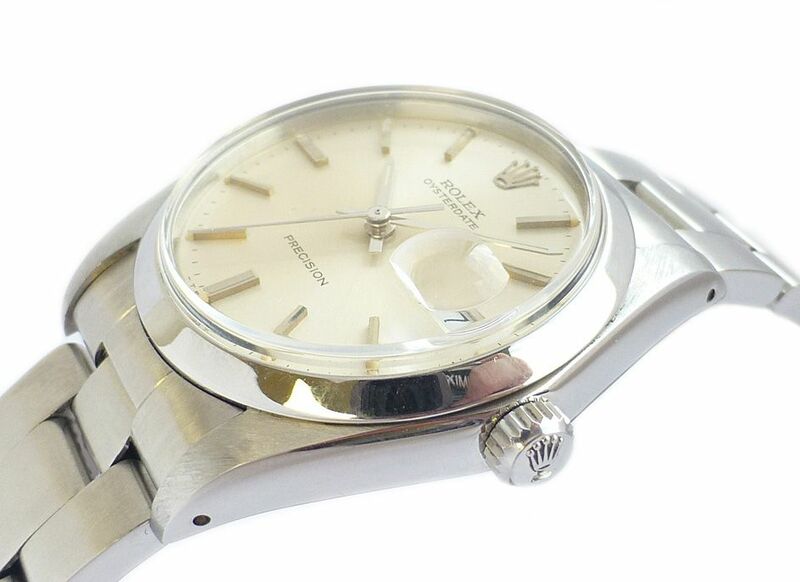 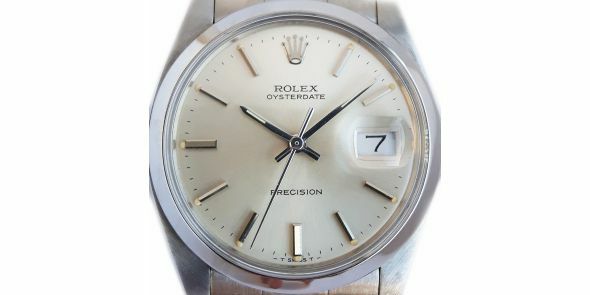 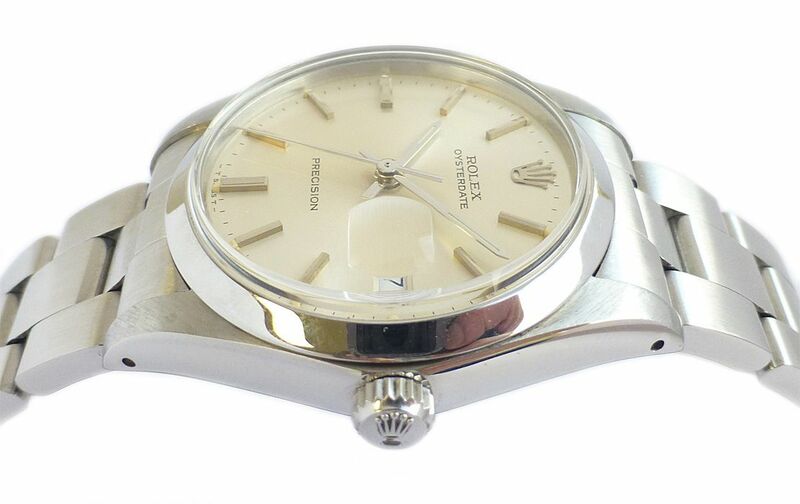 This is another of the classic Rolex Oyster design, classic oyster case and oyster bracelet.Â It is instantly recognisable for what it is and is at home on the wrist whether worn with a suit or casual clothes.Â This is another Rolex that makes the wearer proud to own and sets them apart from the crowd.Â It is keeping good time as one would expect a Rolex to do.Â Dimensions are as follows.Â The width is 34 mm excluding crown, and 36.5 mm including the crown.Â The thickness is 11 mm and the lug to lug distance is 40 mm.